Concerned with the continuous downward revision, the EPFO has since last month begun counting people quitting their previous jobs and joining a new one as an addition to the net payroll. 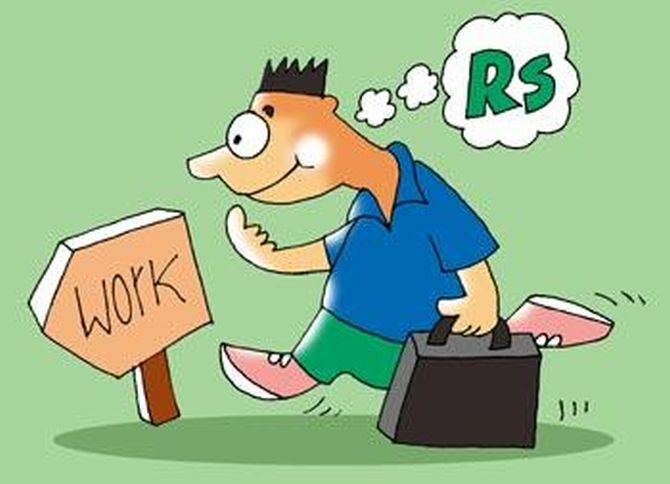 Even after over one year, the Employees’ Provident Fund Organisation (EPFO)’s payroll data - cited by the government to map employment - has not yet stabilised and still remains “provisional” in nature, raising doubts over its reliability as a dataset for estimating employment. The EPFO began releasing the net payroll estimates in April this year for the period starting September 2017. Since then, the EPFO has been releasing the data every month. The latest estimate, released on Saturday, showed the payroll numbers for September 2017 has been revised. In fact, the net payroll estimates for September 2017 saw the sharpest downward revision of 12 per cent since the time the data has been released, according to the official release. When the first set of estimates was released in April, the net payroll count for September 2017 stood at 596,493. According to the latest data series, the payroll count in September 2017 was 425,022 - a decline of almost 29 per cent since the time the first set of data was released. The data released last month had put the payroll figures for September 2017 at 482,442. This essentially means employers are not filing their returns with the EPFO on time, which gives out details related to establishment, employment, provident fund contribution, among others. “The data is provisional as updation (sic) of employees’ records is a continuous process and gets updated in subsequent month/s,” according to the disclaimer given by the EPFO, while releasing the data. The delay in filing returns goes as far as over a year despite the EPFO’s clear guidelines that employers are supposed to file returns by the 25th of every subsequent month. This means for September 2017, employers should have ideally filed their monthly returns by October 25, 2017, failing which companies were bound to pay penalties to the EPFO. But, the fact that employers are still filing their returns till October for employees who have left the organisation or made provident fund contribution shows poor compliance by private sector firms. So the net payroll count is the difference between the number of workers who joined and exited from the EPFO’s fold, along with an addition of people who have quit their EPFO subscription to join back with a formal sector job later on. In an interview with Indian Express published on Monday, Chief Statistician of India Pravin Srivastava admitted to the flaws in the EPFO database and said it has to treated as “a proxy for formalisation” and not job creation. Though the Ministry of Statistics and Programme Implementation has said the EPFO data gives a “perspective” on employment in the formal sector, Prime Minster Narendra Modi has, on various occasions, cited it as a measure of job creation. During an interview in July, Modi had said 4.1 million jobs were created in formal sector between September 2017 and April 2018, based on the EPFO payroll data. The payroll numbers for this period have been revised to 3.3 million, according to official estimates released in August; 3.7 million according to September estimates; and 3.9 million according to the latest figures released in October. On the recommendations of the Prime Minister’s Office, a panel headed by former chief statistician T C A Anant was to take a call on whether the EPFO’s payroll numbers could replace the quarterly enterprise-level job surveys conducted by the labour bureau, under the Ministry of Labour and Employment. The committee, which was supposed to submit its report by May, hasn’t yet given its recommendations so far.